So, today, I’m going to talk about three items in brief. The first will be the common things that I personally struggle with regarding work. 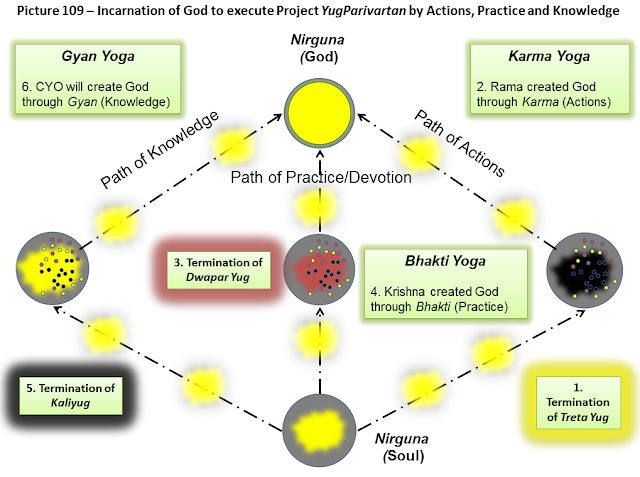 The second is how the practice and philosophy of Karma Yoga helps me to relieve these struggles. Lastly, I will provide a biological example of Karma Yoga at work on a much smaller scale within the very cells of our physical bodies as this has been a source of inspiration for me — finding parallels between the science of Vedanta and the mainstream physical sciences. The most common problem I have is that I only enjoy working when the work is something that I personally enjoy doing. When the task is not something I find satisfaction in, I typically don’t enjoy doing it. Surely, you can relate. I will either suffer through the work I don’t enjoy, or find a way to escape it. Now, by escaping it I don’t mean running away from the job, I mean that I am physically there doing the work and going through the motions, but mentally and emotionally I am off somewhere else. mental movements aren’t in sync. My energies, my thoughts and feelings, are scattered about while my body is unconsciously performing some task. I’ve split my being between the present, here and now, and some other place in time, thinking about what was, what will be, what could be, or the prize at the end of the road. I’m not completely present, and ironically, I end up expending more time and effort on the very work that I’d rather not be doing. As a result I suffer. These thoughts and emotional movements, according to yoga, are the streams of my consciousness, as an identity, moving through pathways called Samskaras. Like flowing streams of water carve out large rivers over the course time, the repeated movement through circuits of feeling and patterns of thought carve out these Samkaras over many incarnations, all the way up to the present moment. No matter what work I’m physically engaged in, it’s easiest for my feelings and thoughts to flow through these circuits, or Samkaras. Napoleon Hill once said that following the path of least resistance makes all rivers and some people crooked. And so it is with Samkaras. I suffer because I’m allowing the winding rivers and streams of my consciousness to flow through the channels which offer the least amount of resistance. These channels are a cumulative result of many improper movements. Physical, emotional, and mental. 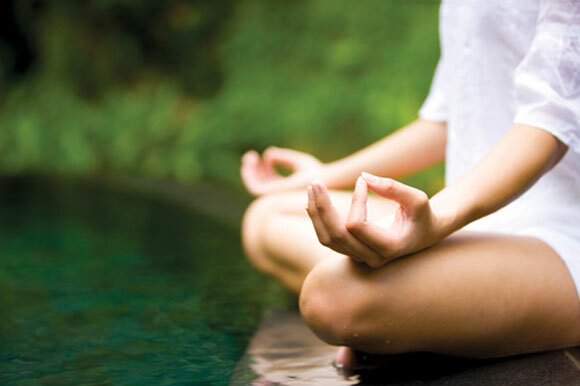 Lucky for me, Karma Yoga offers a solution that promises to do much more than alleviate my suffering. Karma Yoga teaches me to redirect my thoughts and feelings toward the Divine while I work. This practice builds embankments that reroute my currents of consciousness towards the Divine. There is a caveat though. And this is something which I’ve only recently uncovered about myself. I cannot merely be engaged in a task and be thinking about God somewhere else, lost in a thought, daydreaming of the divine. For example, if I am engaged in cooking, cleaning, or some job in which I must interact with others, I cannot merely perform these duties while thinking of scripture or some divine, cosmic mystery, wondering this thing or that. This is good no doubt and at the least it is a starting point in the practice. But, I’m still not there with the work; I’m not completely present. My being is still split between the immediate duties in front of me, while my emotional and mental being is wanting to be off somewhere else, studying this or that scripture or thinking about this or that divine mystery I’m trying to solve. I’m not really present with what’s in front of me. The work and God remain separate. So, Karma Yoga teaches me to direct my thoughts and feelings towards God not just while I work, but into the work itself. This requires my full presence of being, it requires my physical, mental, and emotional movements to be in sync and focused on the Divine in front of me. Slowly, when practiced diligently and sincerely, work begins to transform into devotional acts. Every movement then becomes a salutation to the Divine; every action, an act of worship. The practitioner, begins to see God working on them, through the work that they think they are performing. By surrendering themselves in thought and deed, to the Divine, they become in sync with the Divine work, and they gradually realize the Divine conspiracy that is always at work to help them towards their freedom. There is a type of gratitude and peacefulness that develops. Karma Yoga says practice work, not just physical, but mental and emotional work, while being aware of the immant presence of the divine in everything you do. Personally, my samskaras, the path of least resistance for my emotional and mental movements, make it easy for me to think that God is somewhere out there, somewhere else, while I’m here, doing this or that. It becomes less easy for me to think of God somewhere else when I practice putting God right in front of me, in what I’m doing, in all situations. When I put the Divine in front of me, right there with me where its always been, work becomes something much more joyous and life becomes less of a struggle. It’s no longer about me, what I will get, or what else I could be doing; everything becomes a divine dance, the world becomes a mansion of mirth. Through this practice, and by Divine Grace, we begin to identify less with our own selfishness and more with the larger whole. We become increasingly aware of a more complete being of which we are a part, and by shifting our movements towards the Divine, we begin merging into that larger awareness of being. A larger body, with a more complete sense of spirit. Vedanta teaches that everything is ONE body, with ONE soul. All is ONE. This brings me to the final item. The yoga of the cells. 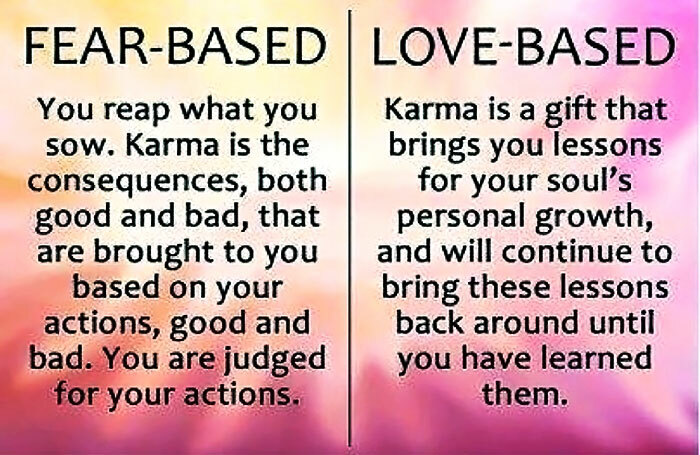 Biology and Karma Yoga. Vedanta presents us with high philosophies, invisible forces, and abstract concepts that tend to exceed our reach in many ways, and a certain amount of faith is required for us to allow Vedanta to change the way we live and to enact the practices it prescribes. Faith, I believe is a good thing. Nevertheless, it is nice to find parallels in science that support the tenants of Vedanta. It strengthens our faith, and can add a most welcome bit of enthusiasm into practicing the methods outlined by this Yoga. Sri Ramakrishna says in the Gospel that the microcosm is in the macrocosm and the macrocosm is in the microcosm. 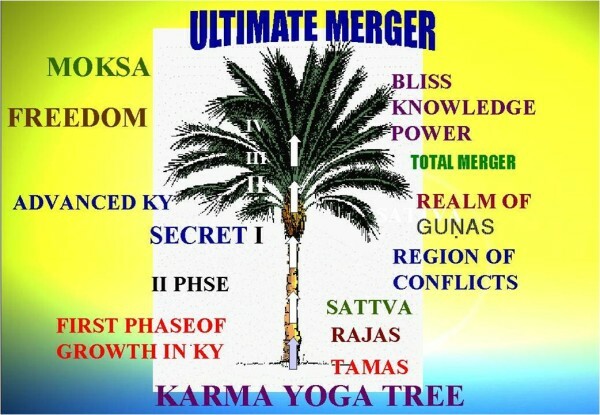 Swami Vivekananda had a revelation about this while meditating under the peepul tree in Kalighat, after which he wrote, “the microcosm and the macrocosm are built on the same plan”. In the body, proteins play a vital role. They are one of a triad that make biological life possible. They are the workhorses of the body. They transport material in and out of the cell, they help relay signals throughout the brain and nervous system, they come together as enzymes to break down the food we ingest or to build important complexes nessecary for many biological processes. They do all the jobs of the body. They even make up the muscle tissue that allow us to move, to work. In short, they are the real Karma Yogis of the body. Your body consciousness, in part, is a collective of these key players, proteins. They act selflessly to support a larger being, they have surrendered their identities and their will to a larger organism, merging themselves into a larger awareness of being. They move as one in harmony with the divine cosmos that is your body. The macrocosm in the microcosm. It is important for a protein to be in the correct shape for it to perform its duty properly within the larger body. If it is in the wrong configuration, it creates stress within the cell and causes the body to suffer. It is typical for a newborn protein to have to incarnate into a little body within the cell itself so that it may develop into the correct configuration. There are millions of tiny capsules in the cell that encase these new proteins. These capsules, with the protein inside, perform work on the protein and undergo specific movements in order to help the protein attain the proper posture, as it were. Once the protein is released from the little body, it goes through a quality control system within the cell. If it is found unripe, or it hasn’t developed properly, the cell sends it back into another little capsule. In other words, the protein reincarnates and tries again. If the protein, after many cycles through these tiny bodies, achieves the proper state it is released from the cell, this is moksha. It now has the power and knowledge to act in harmony with the larger whole, it merges with the symphony of the total organism, into an awareness beyond its small form. The tangled, mishaped protein is like the crooked state of our samskaras, the mishapen patterns of thought and emotions that we identify with causing us to suffer.Our physical body is like a chrysalis, giving us the opportunity for metamorphosis. We transmigrate from body to body to reshape and remold ourselves, learning to direct our energies to the divine, to a higher nature. Learning to act selflessly, like the protein. It is only through physical, emotional, and mental work in sync with the divine scheme that we acheive our proper configuration, preparing us to merge with the awareness and harmony of a larger state of being. The infinite universe is the body, the Earth is but a cell. Life is work. Karma Yoga teaches me not just how to work, but how to live. I’d again like to thank the nuns of the Santa Barbara Convent for having me here today. It’s great to see everybody here and to be here! Jai Ma. Thank you. Posted By: Br. Vivek has been living at the Trabuco Monastery for eight months now. The Santa Barbara nuns invited him to be one of the speakers at the retreat last month on the four yogas.